See your body and your life from your spirit’s perspective. The Afterlife audio track will guide you in an out of body experience and help you connect with your higher self in a safe, relaxed manner You are much more than the physical specimen you view in a mirror and there is no end to you. Click “…More” to learn why you should download this App today! Have you had a dream of flying outside of your body? Ever wondered if your spirit survives after your physical body is gone? Most people do. There’ve been times when you felt the presence of something more but is it true? If so, then can you really connect with that higher energy in a way that will help you in your daily life and beyond? That ‘gut feeling’, your intuition, tells you there is a realm from where hunches and sudden flashes of insight come, a place that supplies you with inner guidance and ideas. That’s where creation, innovation and the fulfillment of dreams start out before filtering down to your conscious mind. Everything begins outside of the physical, as an idea, before being transformed into a tangible thing. In other words, you have to have the dream before you can make it come true. But how do you know what direction to go in to achieve your dreams and make them real? With Afterlife, you can easily get the answers to these questions. This audio track is designed to remind us all that we are indeed, more than our bodies. We experience the truth of this all the time, whether we’re aware of it or not. In fact, it is natural and innate. The Afterlife audio track is from hypnosis specialist, Dr. Norman Miller. It is completely safe. It will guide you to a deeply relaxed state, where you take an out of body, dream-like journey that helps you to see yourself and your life in a whole new way. One important thing that you will realize is that there is no end to a person’s spirit. This can be especially comforting after the loss of a loved one, or when the question of life and death arises within us. That’s what Afterlife offers you – the comfort of experiencing the true answers for yourself. You don’t have to wait a minute longer to access your life truth. 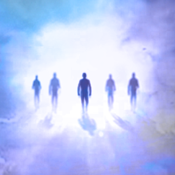 Download Afterlife now and find out for yourself what your spirit is all about.